This is a 1910 Illustration featuring an English Conservative Poster! The size of the illustration is approximately 6.5x9.5inches. 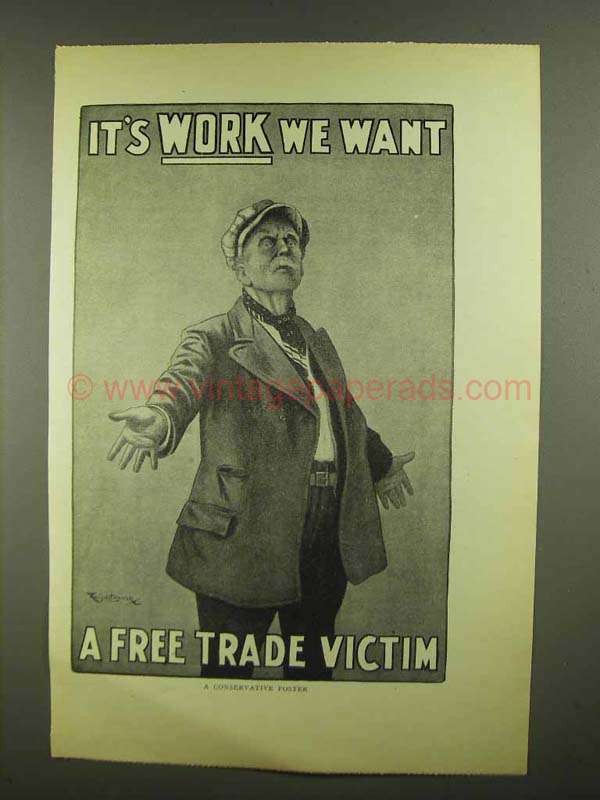 The caption for this illustration is 'It's work we want a Free Trade victim' The illustration is in great condition. This vintage illustration would look great framed and displayed! Add it to your collecction today!